inviting another to stop and know the power of presence. Guest blog by Sister Maxyne Schneider, President of the Sisters of St. Joseph of Springfield, who is currently visiting missioning Sisters in Africa. 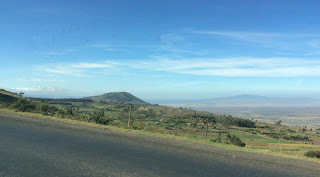 If you look closely, you can see the donkey cart that is not an uncommon sight in the Rift Valley. Pat speaks fluent Kiswahili and is an amazing bargainer in the marketplaces, which are filled with scores of stalls and tarps laden with goods, mostly secondhand materials from the West. Everywhere we have gone we have seen remarkably beautiful fresh produce -- fruits, vegetables and tea from the plantations close to Kisii -- being sold from roadside stalls or in special marketplaces. Not just the young sisters in formation, but older sisters, brothers, priests and other laypersons spoke to me of how Pat has accompanied them spiritually, sometimes through hard times. Security measures are evident everywhere, including at the Nairobi supermarket, where security guards check car trunks and the underneath part of the car and where handbags are searched upon entry. This follows upon terrorist incidents of the past few years. Pat has spoken often of the violence that occurred after the 2008 Presidential election and how deeply people have been effected by it. 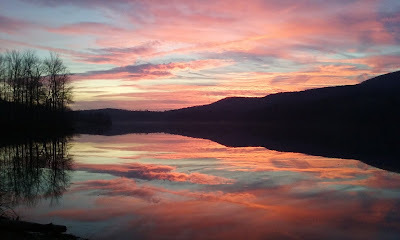 She herself needed to remain for some days at the Jesuit retreat house where she had just finished directing a retreat. The Divine Word sisters at the conference and retreat center where we were this past weekend sheltered workers and others from the region amid the violence. Effects of the violence linger. On Sunday, as we moved back towards Nairobi, we went to the Nakuru National Park, where we saw many of East Africa's beautiful animals. On Monday during our final leg of the journey home we saw herds of zebra and Thompson's gazelles just grazing in fields that bordered the highway. The natural beauty of the portion of Kenya that I have seen this week is stunning. The extent of poverty and the rigors of life for the poor can weigh on the soul even from a distance. Pope Francis will visit one of Nairobi's largest slums during his upcoming visit. Today we visited Tangaza University here in Nairobi, established with the collaboration of 22 religious congregations. We met Sr. Pat Kane's former student, Jeff, who now heads the communication department that Pat established. 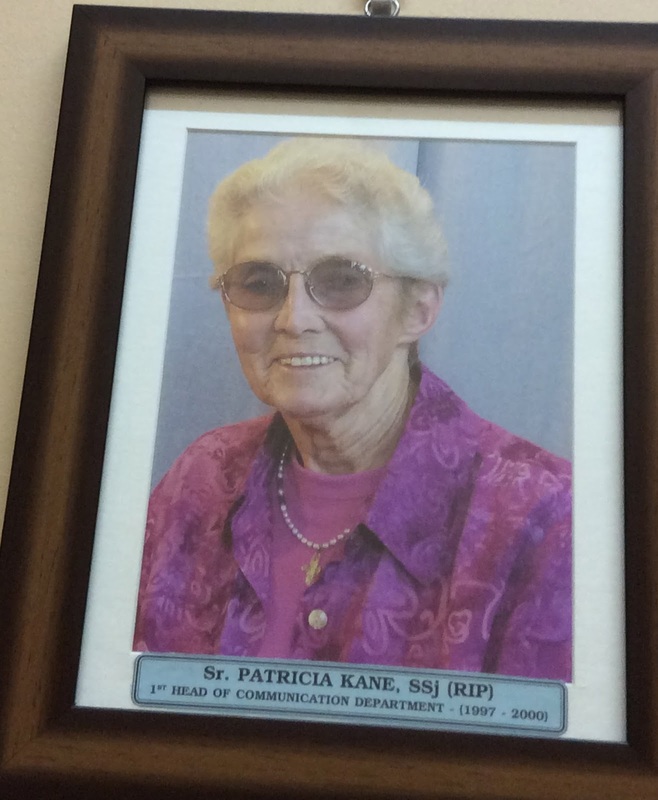 On the wall hangs a picture of Pat as first Director, sent by Sr. Mary Quinn in 2010 after she visited here and received a request for it from Jeff. With this visit today Pat Smith and I completed our pilgrimage to at least one site where each of our sisters has served. It has been a remarkable privilege to be with Pat as she completes this mission that has encompassed most of her adult life and has fulfilled the early sense of God's call that she felt for the African mission. It has likewise been a gift to visit most of the places where our sisters have lived and ministered in Kenya, being reminded of what richness they have brought to our Congregation as well as to the people of Kenya. I have been aware all through this time here that, much like my predecessors in such visits, my purposes are to express congregational support for those who are here, to honor the past ministries of our sisters, and to be "eyes and ears" on behalf of the congregation in relating what I have experienced. I leave with a sense of gratitude and admiration -- for Pat, for our sisters who have been in East Africa before her, and for the many people I have met in these past several days. There is a vibrancy in their faith that, to use Pat's words, appears to be integrated with the whole of their lives. Among the missioners, lay and religious, I feel a sense of warm community and an almost palpable sense of mission. Is it the urgency of the needs that are here in Kenya as well as in neighboring countries like South Sudan? 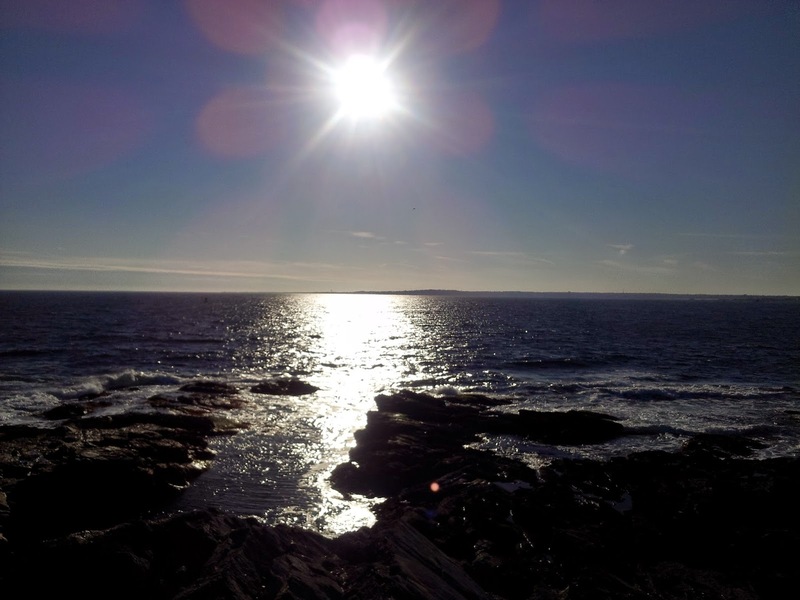 I have been enriched by this experience and will need time to let its effects deepen in me. We in the Community of St. Joseph are all enriched through the ministry of our sisters who have been here, knowing that where they have been, there we are. Let us welcome Pat back to her U.S. home after 42 years of mission in Africa and support her in her time of transition. Let us thank her and all those who preceded or accompanied her in ministry here. We are blessed. During the past eight days as we visited community after community, some small part of Pat's very extensive ministry in the formation programs of both women's and men's congregations became very clear to me. Pat has been retreat director, spiritual director, presenter of programs that have been important parts in the formation of sisters, brothers and priests in many places in Kenya and other countries, as well. The novices, postulants, temporary professed and the now fully professed whom I met spoke with warm affection and great enthusiasm of her. and the novices from the Franciscan Sisters and Franciscan brothers. On Saturday, October 10, we were in Molo, Kenya at the very beautiful retreat and conference center run by the Sisters of Charity of the Incarnate Word (the same congregation whose sisters were good to our sisters in Louisiana). There Pat was feted at two farewell parties. The first was hosted by Sr. Mary McHale, CCVI, the postulants of her congregation, the novices from the Franciscan Brothers and the novices from the Franciscan Sisters. All of these young people had been together for the workshops and programs that Pat led for them over the past year. They included, not just spiritual sessions, but also a workshop on communication and craft sessions on baking, candle making, creating greeting cards and knitting hats and scarves on the circular frames that some of our sisters use. As we were enjoying refreshments, one after another the young people left the room. They returned as a group with a song they composed for her and wearing or holding the various items that they had created with Pat. They were quite funny, and they clearly loved both honoring her and spoofing her. It was the kind of presentation that people do only for those they really love and enjoy. They presented Pat at the end with a scarf that one of them knitted for her using all the colors of the Kenyan flag. 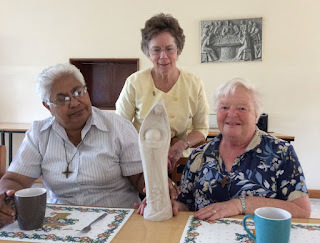 In the evening it was the School Sisters of Notre Dame, with whom Pat has lived for many years, who honored her and their own Sr. Maris, who is also returning home to the States for good this month, too. Again it was the young congregational members, all natives of Africa, who gave tribute to and roasted both of these women who played such an important role in their formation. It was truly an African party with dancing, singing and much spontaneity. Gifts were given, hugs exchanged, and, as has been true at each place we have visited, I was asked if Pat might stay in Kenya just a little longer. 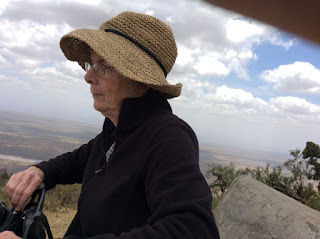 Today, Monday, October 12, on our way back to Nairobi we stopped at the Sisters of Loretto, where Pat needed to return a book, say farewell to missioned friends, and fulfill a promise to the novices that she would come to say goodbye. 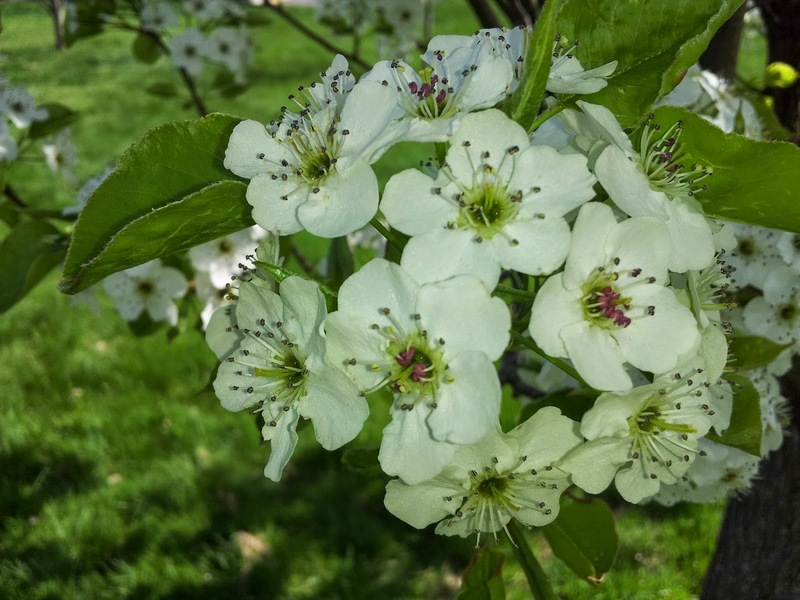 One young novice, preparing for first vows in late November, told me how good it was that Pat had directed her 30-day retreat earlier in her novitiate and how she had hoped that she might be her director for the shorter retreat just before her vow date. She was just one of many, many religious and lay persons who have spoken to me of Pat's impact on them in spiritual direction or retreat. Pat may physically be leaving Kenya, but her influence will clearly live on in the lives of individuals and of congregations. Some photos will capture a tiny bit of the spirit of these farewell gatherings with some of Africa's congregations' young African members. The seven-hour trip from Nairobi to Kisii brought us on Wednesday, October 7 from mile-high Nairobi down to the floor of the Rift Valley, which runs from Israel and Jordan down to Southern Africa. The scenery of the descent was breathtaking. At one point I was surprised to see a small troop of baboons by the roadside. As we crossed the Maasai territory of the valley, we were in the midst of herds of cattle and goats and those who tended them. Lack of rain left the area brown and dusty. As the afternoon progressed we saw saw children going home, all in the various bright uniforms that are used by both public and church-sponsored schools. The ascent into the high territory of Kisii brought us back to green vegetation and spectacular views of fertile hillsides. Ichuni was the site where Srs. Cecilia James and Bernadette were part of the early years of the first school for girls, a harambe, i.e., a school created by the people rather than by the government. Arriving in 1971 and living in very simple housing, they taught 300 girls in that school and taught boys in a neighboring school. Later on at various points they were joined in community living by Pat Smith, Sue Landry, and Dorothy Pilkington. first lived and where other sisters joined them. As we had arrived in Ichuni we were met by a woman and her family to whom both Srs. Pat Smith and Dorothy Pilkington had been present. Beatrice was the first social worker with whom Pat worked in her ministry to women of the Diocese. Beatrice's smile and the presence of her daughters and grandchildren at the roadside as we arrived spoke of the importance of the family's relationship with our sisters. So did the fact that two of Beatrice's now adult daughters, Dorothy and Patricia, are named for them. bring us to the old church, the one our sisters knew. With Beatrice we went to the parish, meeting the current pastor, Fr. Thomas Matoke, who delayed plans to leave for another engagement to show us around. The house in which Bern, Ceil, Dorothy and Pat once lived still stands, but is used only for storage. As you look at the photos of the exterior of the house and of Bernadette's former bedroom, you may get a little sense of the simplicity with which they lived. The original church still stands, but a new church has been added to accommodate a congregation of 2000. As I saw the young children in the schoolyards, I wondered if some might be the grandchildren of Bernadette's and Ceil's first pupils. After touring the church and school property, we were invited to visit with Beatrice and her daughters and three of her grandchildren in her simple home. Large posters on the walls spoke of the role of faith in their lives, as did Beatrice's request that we pray together before we left. Hospitality was extended in offering us milk from their cow tethered in the front yard. The impact on their family was further highlighted thorough Pat's receiving a few calls from Beatrice's son Nicholas, now a schoolteacher at a distance from Ichuni. in bidding farewell to Pat in Ichuni. On Wednesday night we arrived at Nyabururu,about a 45-minute drive from Ichuni. Now a house of the School Sisters of Notre Dame, this was a site where Pat Smith lived for several years when she was engaged in other ministries nearby. Down the road is St. Paul's Teachers College, where Sr. Mary Magdalene taught home science. One of the teachers, Elizabeth, left a meeting in order to show Pat and me around. While she didn't know Magdalene personally, having arrived just after Magdalene left, she said that she was grateful for the teaching materials that Magdalene left; these had made her first classes so much easier. where Sr. Mary Magdalene taught home science. Her classroom is still in use for science studies. When we left the College, Pat led us to the house where Magdalene lived and to the small building where Bernadette taught at the Upgrading Center, providing very basic schooling to sisters from an indigenous congregation. Bernadette taught them home science once a week. The sign on the door, "Home Ec," while faded, still remains. The wider campus area that encompasses the college also has other schools. Education, apparently a Kenyan goal after achieving independence from Britain in the very early 1960's, is evident everywhere. Religious sisters are, it seems, everywhere, as well. We met young sisters from two different congregations on this property yesterday, all not yet born when our first sisters came here. Later this afternoon we drove to Sengera, where Pat and Sr. Kathy Gallagher were first missioned. Both began as teachers in the school. Just before we left, I had a conversation with one of Pat's first students, Amina, who had traveled two hours from near the Tanzanian border for a farewell visit with Pat. She spoke of how education was in those days, when women in their twenties who had not had prior schooling had the opportunity to learn. Pat and her students, she said, were age peers. The warm friendship begun then has remained through the years, and significant life moments were often shared. Pat used her tailoring skills to sew Amina's wedding dress. Pat was there in times of illness and times of celebration. Again today I saw the testimony to Pat's fruitful ministry here and I expand my thoughts to encompass the ministries of each of our other sisters who served in East Africa. went to Ichuni. What was a very small school when our sisters arrived now has an enrollment of 600. Pat had not been back to Sengera in about 20 years. Some things had changed greatly, while others had not. The dirt road, probably the most rutted and rough that I had ever been on, had not changed. The boarding school for girls where Kathy Gallagher taught math and Pat taught biology and home science has grown to include a large campus and 600 secondary school girls. (Pat recalls that the enrollment earlier might have been 100 or fewer.) We were given a tour by the secretary, were surrounded by first-year students eager for their pictures to be taken, and introduced to staff from the kitchen to the library. They were so pleased to meet a teacher from the school's earliest years. Most staff we met were not yet born when Kathy and Pat came there in 1973. We saw the exterior of the house where Pat and Kathy and later Noreen Moran lived as well as the exterior of the former church; a new large church has been built. The Catholic population and population in general appeared to have grown substantially. As we returned to our lodging in Nyabururu, heading toward Kisii Town, we went into the campus of what is now Kisii University, now a beautiful and expansive campus. Dorothy Pilkington taught in the Education Department when the institution was Kisii College and had limited buildings. This was Dorothy's second mission in Kenya and part of the 11 years she spent in the country. After meeting some truly beautiful and gracious people, it could be tempting to generalize the experience, but even these few days have shown that that would be a mistake. Beauty is not the whole of the reality; other human realities are surely here, too. The need for safety is apparent almost everywhere, from gates and fences around properties to refraining from taking pictures with the iPad as we are in the marketplaces. Poverty is all too evident, too, both in Nairobi and in this more rural area. It is a country both of great beauty and of great contrasts. Tomorrow we will leave Nyabururu for a three-hour drive to Molo, where the SSND's will honor both Pat and one of their sisters as they return home from their many years of service in East Africa. This will be one leg of the journey back to Nairobi, where we plan to arrive on Monday. We hope to visit in Nairobi the college where Sr. Pat Kane established the Communications Department and where one of her protégés now continues what she began. 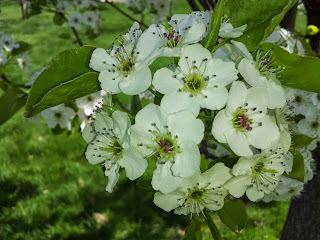 Perhaps this is a good theme for what this pilgrimage of remembering has been: seeds planted have borne abundant fruit. We can be proud and grateful for what our sisters have done in the course of 44 years. Sometimes gifts come in unexpected ways. A coup d'etat in Burkina Faso, two interlocking plane tickets with no easy or affordable rescheduling, and a network of sisters that spans the world. A week spent with the Sisters of Our Lady of the Missions was both refreshment and further preparation. Plans were for me to Join Sr. Linda Wilk and her mission colleague from Sheltering Wings in the capital of Burkina Faso on September 24, 2015. A Sheltering Wings board member from St. Louis was to go over at about the same time. We would be there together. On September 16 a coup led by the elite military Presidential Guard overturned, at least temporarily, the interim government established in a coup a little less than one year earlier. Both air and land borders were closed. A curfew was put into effect. The U.S. Embassy issued an alert to US citizens traveling to Burkina Faso or already in the country. As the days went on it appeared that the situation might settled with the help of mediators from among other West African nations, but on the day on which I needed to make my travel decision, the situation worsened again. Once more the Embassy issued warnings. I made the decision not to go into Burkina Faso at this time. More importantly, though, Linda and Ruth were safe and in good contact with other missionaries there and had support from the Embassy. How would I manage in London until my flight to Nairobi? Pat Smith and the remarkable network of sisters around the globe answered that. Pat emailed Sr. Margaret Doherty, RNDM, a sister with whom she had studied in Chicago, living now at her home base in London. "Yes, of course we can offer her hospitality, " was the instant response to Pat's request. In this photo, taken in the London borough of Harrow in the backyard of the two houses of the Sisters of Our Lady of the Missions, Pat Smith's good friend, Margaret Doherty, is on the far left. The group includes former and current missionaries and members of the provincial leadership for England and Ireland. Being with the RNDM community was an especially good preparation for being with Pat. The love for their many missions was apparent in animated conversation. Some among them had served in Kenya and knew Pat. One had worked in the catechetical program with former member Sue Landry. Those who were "retired" from full-time ministry abroad let me know that it could be hard to leave a beloved mission. 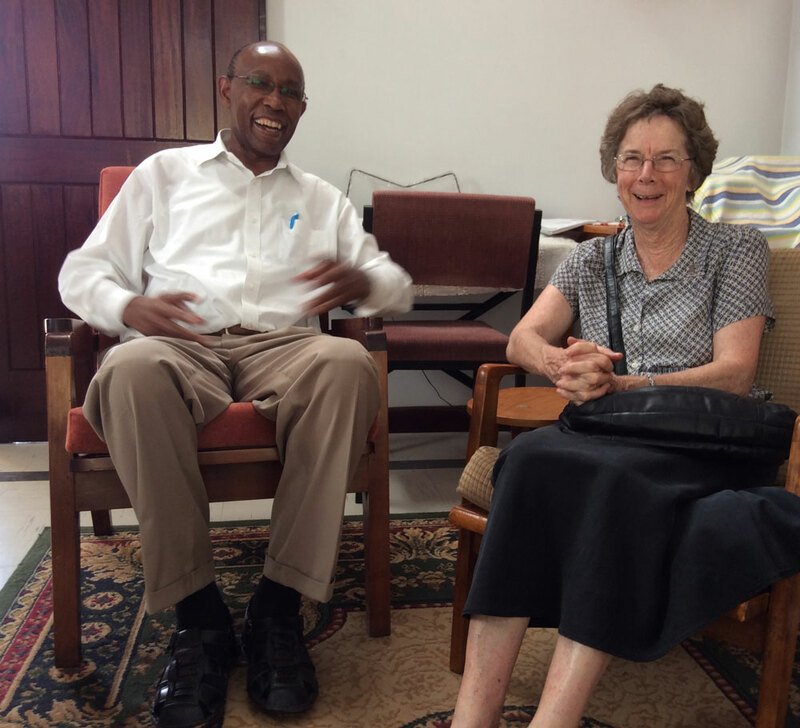 In just two days in Nairobi with Pat I am experiencing, not just Pat's love for her ministries of 42 years here, but also the deep appreciation that colleagues, former retreatants, lay ministers and congregational leaders have for her. I have found myself, not at all surprised, but deeply moved by the clear affection and gratitude being expressed at every place we visit to say goodbye. I think, too, of the many, many more lives that have been affected in turn by those with whom she has worked directly. Fr. 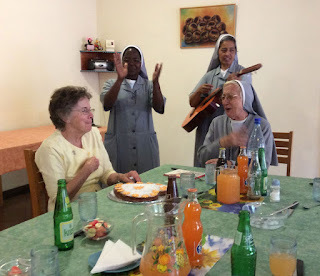 Leo, SJ, a colleague of Pat at their retreat center in Nairobi, bids farewell. On Tuesday the superior of the retreat center run by the Sacramentine Sisters spoke poignantly at the dinner they had for Pat. She said that while all of them felt sadness at the goodbye, they should have joy that Pat had been placed with them as part of their journey. She added that their young sisters in formation as well as their elders and those in between had been enriched by Pat's work with them. This was just one of several similar encounters of the first two days. Farewell lunch with the Sacramentine Sisters where Pat has given many retreats. When Pope Francis visits Kenya later this month, his immediate support staff will stay here. Nairobi has made many first impressions on me in a short time. For one thing, there are so many religious and their "community of communities" is vibrant. Today at Mass at the small chapel of the Kiltegan Fathers, filled to capacity, religious and laity in an array of dress, Africans and those from abroad, prayed and sang with a liveliness that seemed remarkable to me. Just a week or so ago there was a celebration for the Year of Consecrated Life here. Over 1000 religious from 250 congregations across Kenya joined together for a few days of prayer, input and celebration. Those speaking of the experience had palpable enthusiasm. 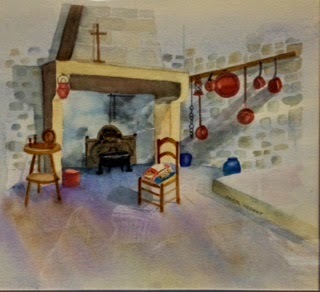 that Mary Southard, CSJ created for their centenary. which overlook the Masai area seen in the background. Today, Wednesday, we will go to Kisii, the site where Srs. Cecilia James and Mary Bernadette became our first African missionaries. We will visit the places in that area where our other sisters followed. Pat used the word "pilgrimage" to describe what we would be doing as we prepared for this time. And so it is. More later when we next encounter an Internet connection and wi-fi.